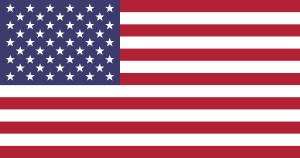 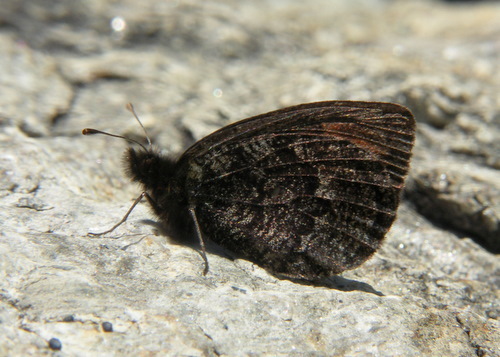 A highly variable species in almost all respects. 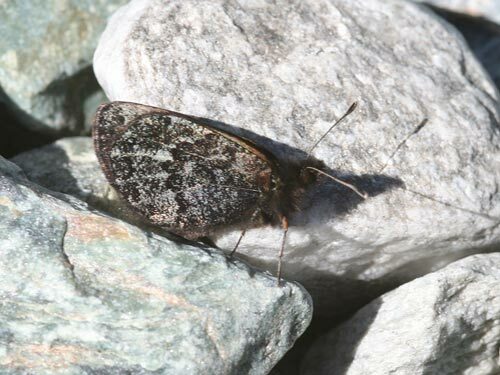 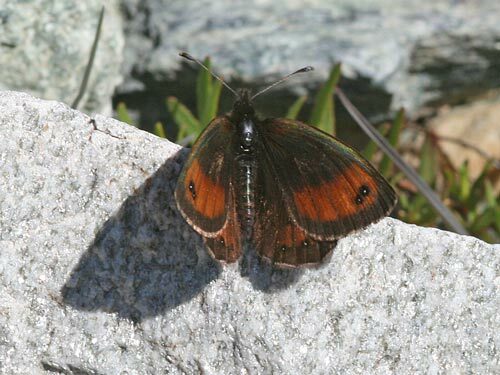 It is a butterfly of the highest altitudes in rock dominated locations. 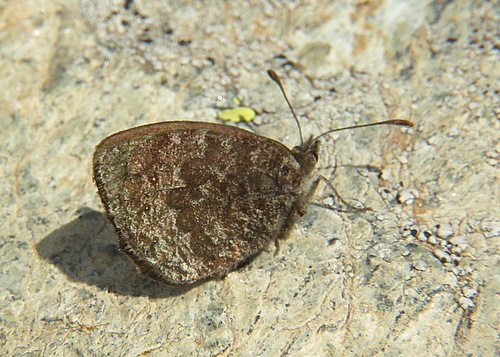 Identification & Similar species: The underside hindwing is mottled and usually has a paler post discal band and often a paler basal area too. 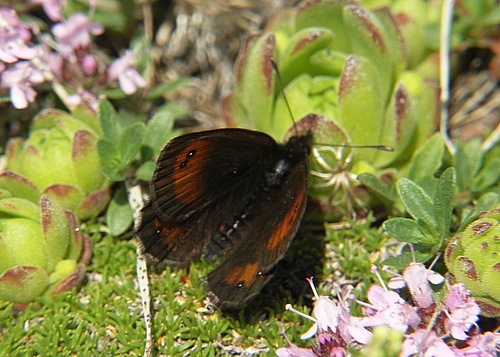 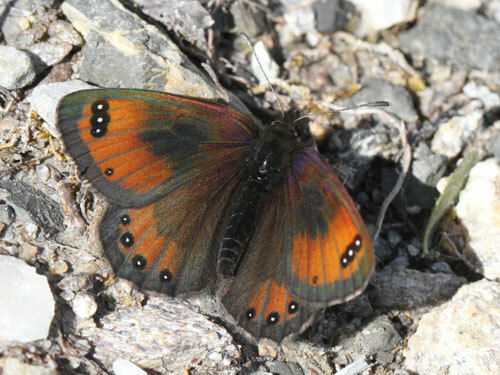 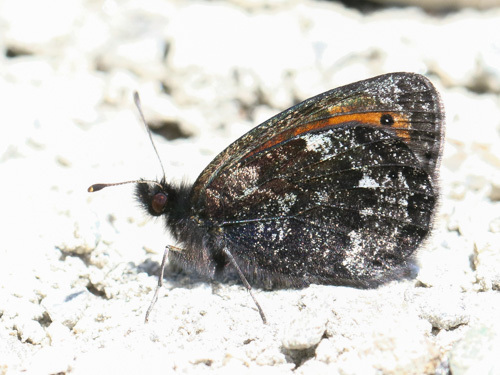 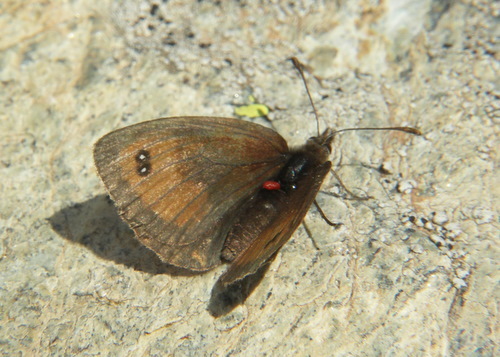 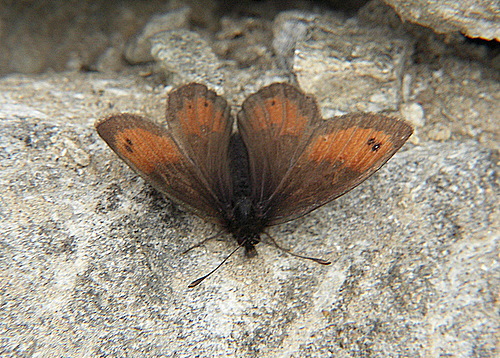 The underside forewing basal area is usually orange. 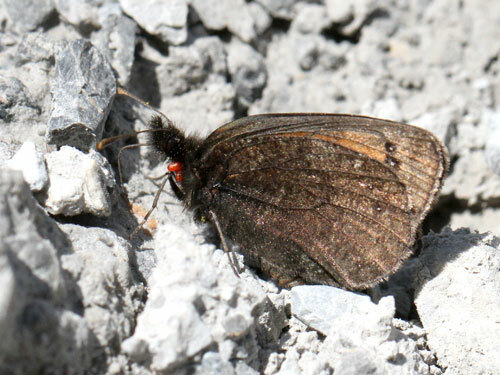 Spots, if present, are large in some forms. 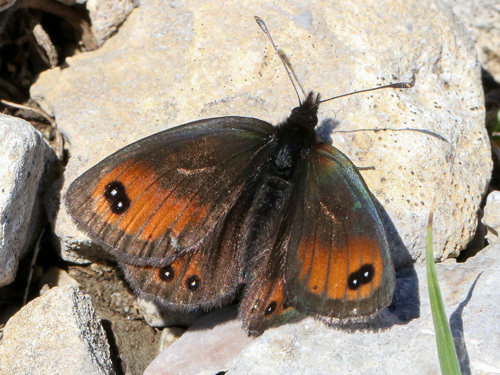 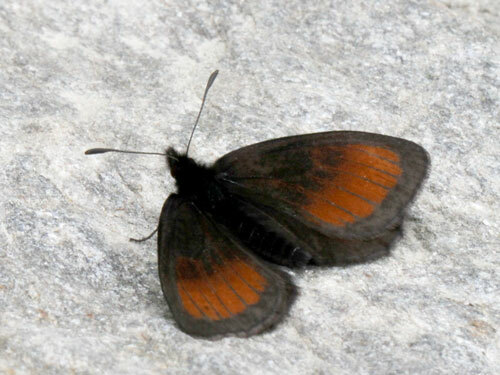 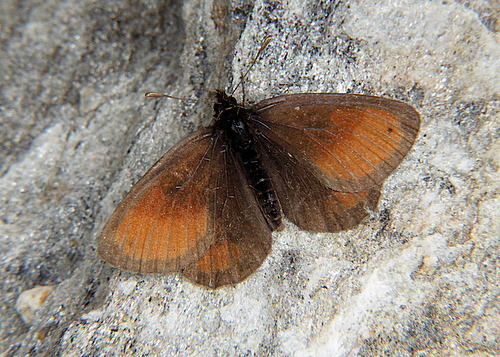 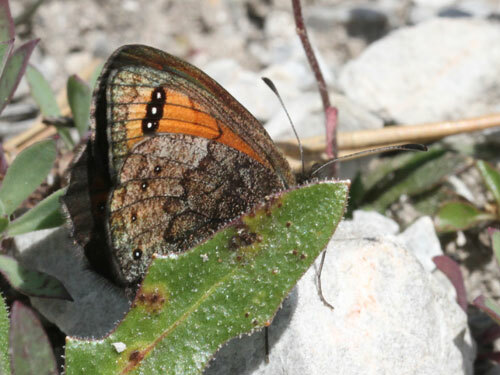 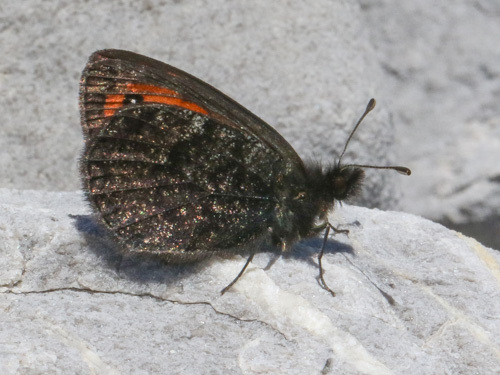 The forewing orange band is usually broad in comparison to wing size. 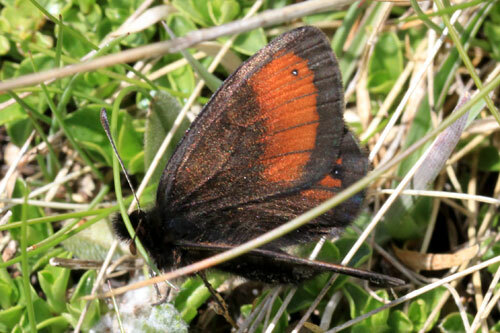 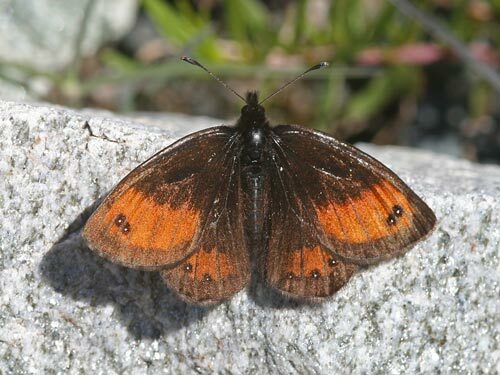 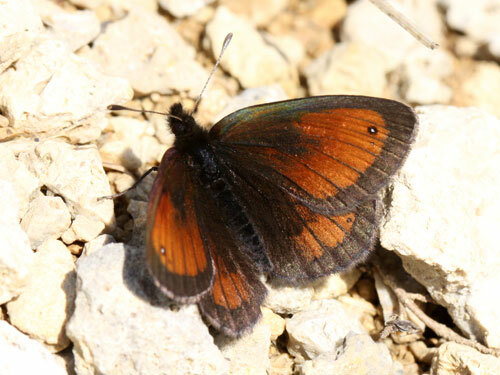 Distribution & Flight: A butterfly that is found usually at the highest levels in the mountains of the Alps and Pyrenees and a few isolated areas in the Balkans and central Italy. 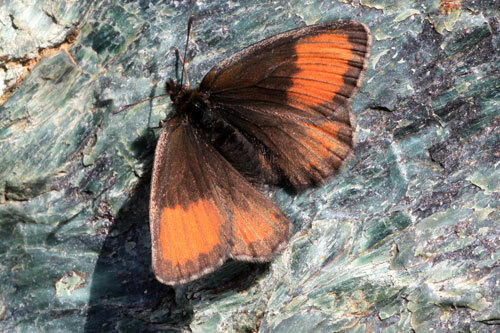 Habitat & Behaviour: It is always found near natural screes or stony areas.